Tired of the 'negativity', Delhi Chief Minister to chart out a bold new effort to re-brand Delhi water! 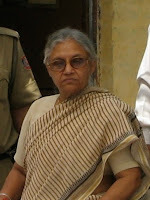 A highly-placed source close to Delhi Chief Minister Sheila Dikshit has informed the Dhaba that the chief minister plans to re-brand Delhi water in the response to an "unscientific" scientific study published recently in the Lancet. 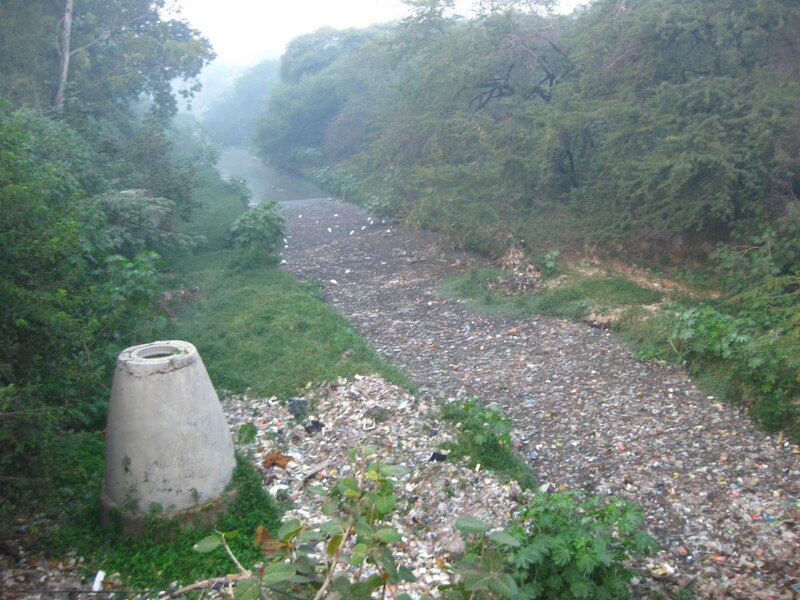 The study claims that Delhi drinking water has been contaminated by antibiotic-resistant 'superbugs.' According to our source, the CM thought the matter should have been put to rest by Wednesday's press conference, where she joined government scientists and Delhi Jal Board officials in claiming, "There is no superbug, no cause for worry." "When that didn't work," says our source, "the CM felt she had no choice but to be more proactive--after all the reputation of the city is at stake...she decided to launch a bold PR campaign stressing the World Class aspects of Delhi tap water." Meri Delhi, meri nal ka pani! Delhi Jal Board: people you can trust! We've never met a cholera bug we couldn't treat! We've got super gastro-intestinal specialists in New Delhi! No evidence of increase in Drug resistance in Cholera! Delhi Water: what doesn't kill you will make you stronger! Those advisers were promptly fired, said our source. "The CM felt we needed a positive spin on the issue, regardless of what the 'science' says. What is 'science' anyway? Everyone knows a positive attitude can overcome any small thing like Typhoid! The CM has never regretted making bold statements, like when she claimed flyovers would help Delhi to become pollution-free by 2010 or when she repeatedly claimed Delhi would be ready for the CWG in plenty of time...it's perception that matters in politics, no?" The Drink Up, Delhi campaign will feature pictures of prominent Delhi residents drinking glasses of tap water and smiling. Expect hoardings to go up by the end of the month, with TV spots to follow. "We'd like to have Manmohan Singh drinking a glass of water in front of India Gate, Alka Pande sipping in front of the Habitat Centre, US Ambassador Roemer drinking straight from an American Embassy irrigation pipe--that sort of thing." When asked whether these figures had agreed to actually drink unfiltered Delhi Jal Board water, our source was non-committal: "The common man wants to know we care about his plight...what's in the glass is not important. Besides, everyone knows how much money we spent making our city World Class for the CWG...they can't expect us to have piles of cash laying around to invest in things like 'public health' and clean water!" TV spots won't make the superbug in our water go away. Having politicians pose with "tap" water, while they sip on Acqua Minerale will be like Shabana Azmi scrubbing her hands after posing with an HIV-affected child for a stigma-free campaign. The scary thing is that this is almost believable! @Lina--No it won't. Neither will proclaiming, "Delhi water is safe!" Unsafe water is one of the main reasons that 200 children are dying each day in India. One would think the Lancet report deserves much more than a press conference. @Anon--The most difficult thing about writing satire about this government is that it's almost impossible to write something that doesn't just completely believable, given the outrageous things that happen around here all the time! What to do?